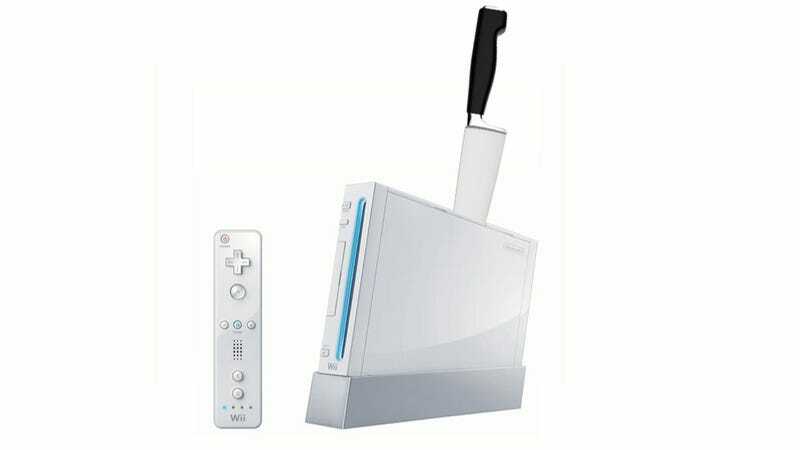 Strange that Nintendo killed the Wii, huh? It just stopped making the console [UPDATE: in Japan, at least]. So sudden! Odder when you consider that the Famicom, released in 1983, was on sale in Japan until 2003. But the Famicom (NES, in the West) was followed by the Super Nintendo. And the SNES was a smash hit. The Wii, however, is succeeded by the Wii U. The Wii U is not a smash hit. Nintendo just released its financial earnings for the past six months (April to September). And while I think these statements are usually boring as hell (they are! ), this one does have an interesting factoid. And boy, I do like factoids. From April to September of this year, Nintendo sold 40,000 Wiis in Japan and 280,000 in the Americas. Elsewhere or what Nintendo calls "Other", the company sold 150,000 Wii consoles. During that same period, Nintendo sold 230,000 Wii U consoles in Japan and 230,000 Wii U consoles in the Americas. Elsewhere, Nintendo sold under 10,000 Wii U consoles. Those numbers are all rounded by Nintendo. Add all that up—as Nintendo did—and during this six month period, Nintendo sold 470,000 Wii consoles worldwide and 460,000 Wii U consoles. Yes, you read that correctly: the Nintendo Wii outsold the Wii U. And these sales numbers for the Wii aren't so great! Which means they are truly disappointing for the Wii U. What's more alarming is that the Wii U is only outselling the Wii in Japan. These underwhelming numbers are understandable. The past six months haven't been so great for Wii U owners. There are a bunch of exciting Wii U games around the corner, but these sales numbers either indicate that players are still hesitant about the Wii U, or, heck, maybe they're confused by the Wii U's naming. Whatever the reason is, the Wii had to go. It was just getting in the way. It needed to be killed. Sorry, Nintendo Wii. It was fun. But your tour number was up.